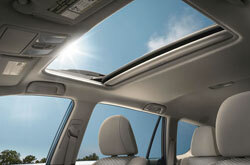 Scroll past the 2013 Toyota RAV4 review video below to start reading about the new RAV4. Kenny Kent Toyota is a stellar Toyota franchise in Evansville for a reason. We provide you with reviews written by automotive writers at the height of their craft. To make informed decisions when it comes to your next Toyota RAV4 purchase, don't guess! 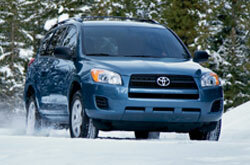 Each article is overloaded with facts and RAV4 features in way that's easy to understand. Can you see the RAV4 parked in your driveway? You won't know unless you read on! Compare the 2013 Toyota RAV4 head-to-head with vehicles like the 2013 Dodge Journey, Chevy Equinox and the Honda CR-V, and you'll spot that the RAV4 trumps the competition in quite a few areas. Pay attention to our Quick List below to find out why! Kenny Kent Toyota auto repair service in Evansville is only a click away! Your Toyota deserves to be treated properly - that means Toyota factory- trained technicians, trustworthy 2013 Toyota RAV4 parts, and the joy that comes from a 12-month service work warranty. Turn to the auto repair hot shots in Evansville, Kenny Kent Toyota, when your Toyotas takes a walloping. Our techs can take on a wide array of jobs - from challenging stuff like Toyota shock and strut repair to less intricate undertakings like fuel filter and tire rotation and replacement. For both involved and incomplex services, our Evansville car repair center takes care of everything; and Kenny Kent Toyota offers budget-friendly maintenance pricing. Get specials day or night. You can peruse discounts by clicking the next line of text.